Oh, and every Tuesday I put out new Spotify Playlists, this week's playlist is my Eggnog from a Drunk Tank Holiday themed playlist. Thanks To Ty Segall and good luck on the auction! I am trying to highlight the efforts of artists trying to build war chests for progressive causes about to come under massive fire as the new administration takes office in about a months time. A few days ago I highlighted Pinegrove's efforts to raise money for Planned Parenthood (namd your own price for any Pinegrove album and the proceeds will go to PP). Today, I saw in Spin Magazine that Ty Segall, solo artist and esteemed member of far too many bands to list (GOGGS), is auctioning off rare pressings of three of his popular albums to raise money for the causes he supports. Planned Parenthood, The ACLU, and the Standing Rock Sioux Tribe. I salute Ty's efforts and hope the auction raises tons of money! Great to see so many people trying to do what they can to stem the rising tide. Anyone who read my top 45 albums of 2016 feature knows that I loved Angel Olsen's most recent album, "My Woman." Here is a cool interview with the artist herself from Paste online. A Cool Christmas Surprise - Audio Ammunition - The Entire Documentary! Merry Christmas From The Clash! Holy Cow, the entire "Audio Ammunition" Documentary (which by the way was named after lyrics from the same song as this blog) is now available on YouTube. Here you go! As you probably know by now, The Clash is my favorite band of all time. So, this is pretty awesome to be able to embed this on my blog. Viva Clash! 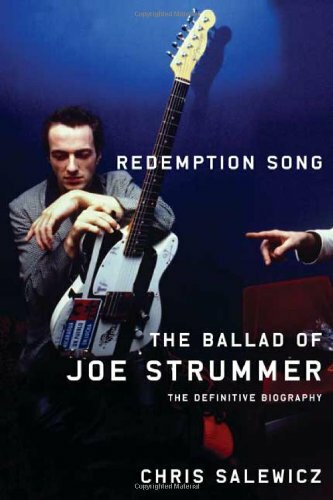 This was a fun one, awesome to be able to share that doc which includes interviews with the late great Joe Strummer (and most everyone else of import). What is your favorite Ty Segall album? Did you bid in Ty's auction? What Clash song provided this blog's name and the name of the documentary?